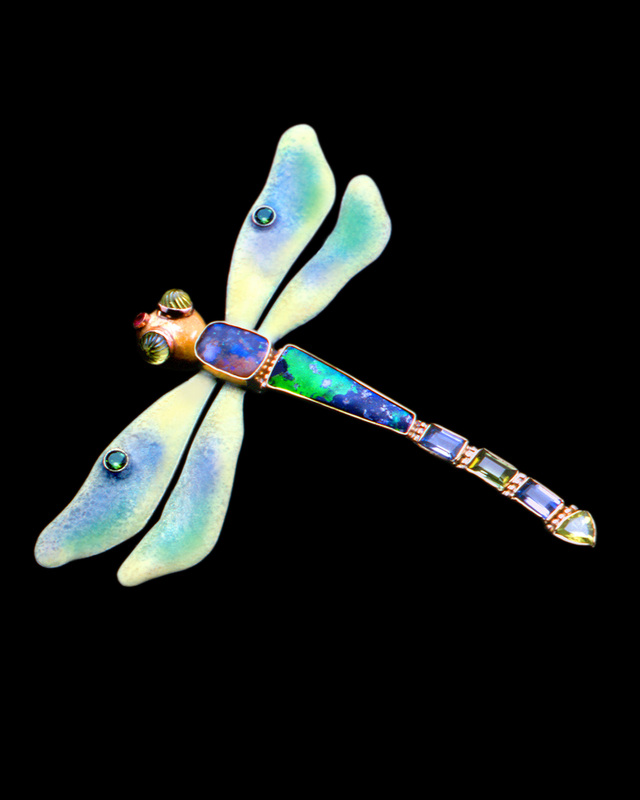 This dragonfly has an enameled head and wings. It's body is made up of two boulder opals. Its eyes are carved peridot and his nose is a ruby. The stones in the wings are faceted tourmalines. The tail is made up of two faceted rectangular amethysts and a green tourmaline. It's tip of it's tail is a trillion cut peridot. The setting is 14kt gold and it's measurements are 2 1/2" x 1 3/4". The people that bought this piece had a special display case built. When the piece wasn't being worn it hung on the wall with a light on it.